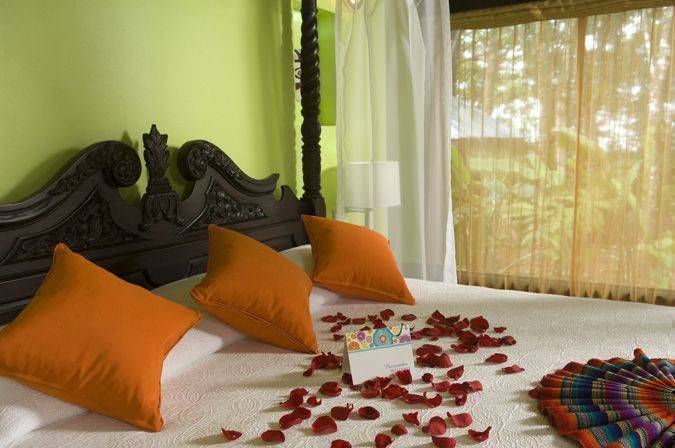 The hotel has beautiful tropical architecture that reflects the beauty of the natural wonders of Costa Rica and gives you the opportunity to enjoy the best of authentic local cultural entertainment. Their tropical gardens are the perfect place to relax and enjoy nature. Ideal for nature lovers! 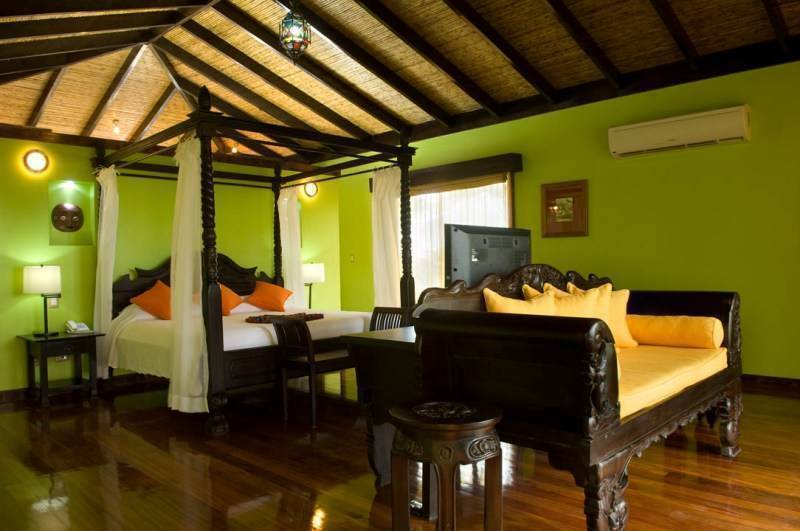 Casita Queen: equipped for up to 3 people with two queen beds, balcony and private patio with outdoor shower. Premium amenities: Jacuzzi, Cable plasma TV, DVD / CD Player, iPod dock, internet access wi-fi, Safe (Laptop capacity), Air conditioning, private bathroom with hot water, Minibar, Coffee Maker and Movies. (Upon request). 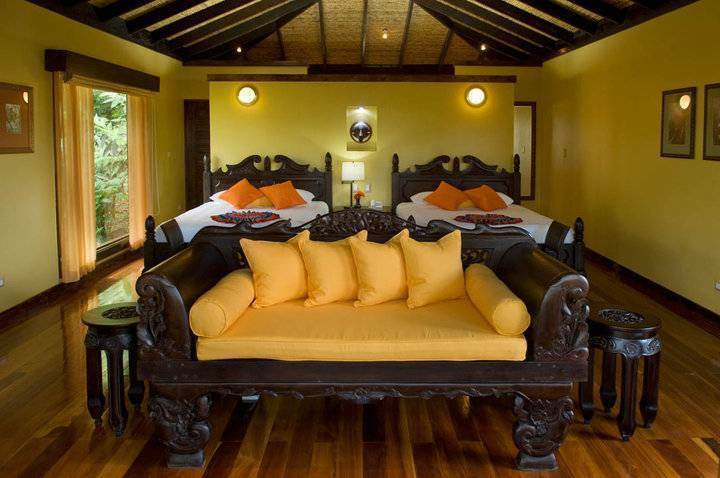 Casita King: equipped for up to 2 people with one king bed, balcony and private patio with outdoor shower. Premium amenities: Jacuzzi, Cable plasma TV, DVD / CD Player, iPod dock, internet access wi-fi, Safe (Laptop capacity), Air conditioning, private bathroom with hot water, Minibar, Coffee Maker and Movies. (Upon request). 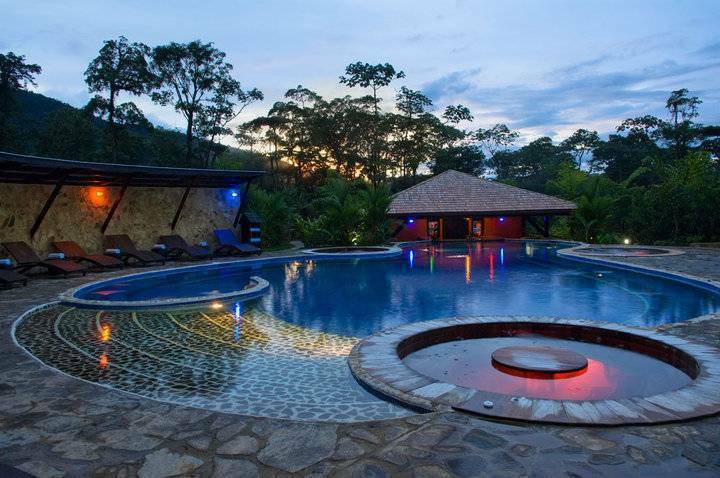 Rio Celeste Hideaway Hotel is just 5 minutes away from the main entrance of the Tenorio Volcano National Park, this idyllic location allows guests to enjoy what is considered the jewel of Northern Costa Rica, the Rio Celeste. It is located 100 miles north of San Jose, between the provinces of Guanacaste and Alajuela. 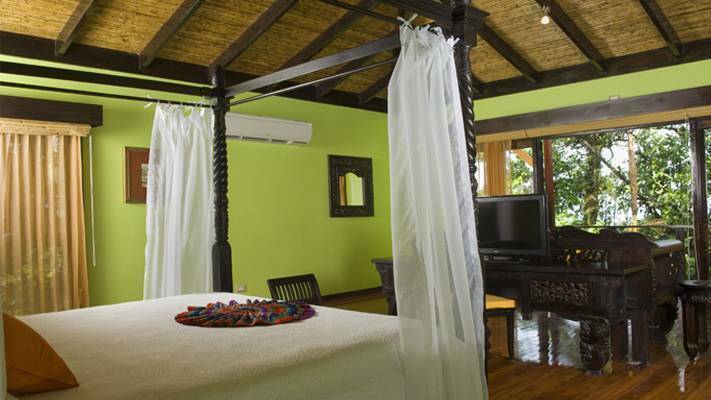 This hotel is located 40 miles from Fortuna and the Arenal Volcano. The hotel is also within 95 miles from Daniel Oduber International Airport in Liberia, Guanacaste. The hotel can be reached with a 1 ½ hr drive from La Fortuna and 2 hrs from Liberia. The restaurant offers a la carte international and national cuisine along with great service characterized by friendliness and willingness of the best of their staff. Aéroport le plus proche: Liberia Airpor(LIR) 3 hours.